Naming computer build projects tends to have an art behind it. Some builders have a certain finesse with it, while others… not so much. 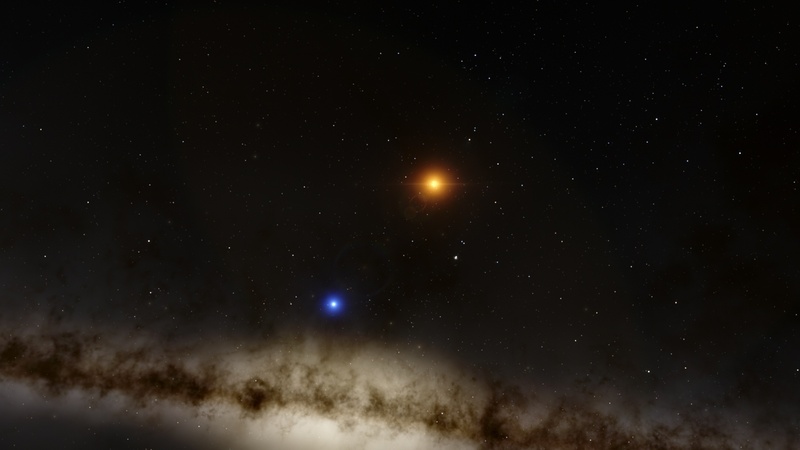 I chose the name “Mira” when researching known binary stars, going off the system’s previous name Beta Orionis (β Ori). 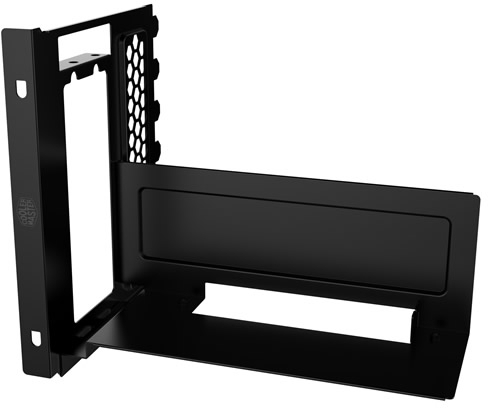 The system is built into the NZXT H440 with an external radiator box that keeps temperatures well in check. Like a binary star system, Mira is not Mira without both parts to it. Nasira worked out very well as a name for the NAS. And Absinthe seemed an obvious choice to reflect the system’s green lighting. Absinthe is coming due for another flush and my wife has expressed interest in changing the colors. 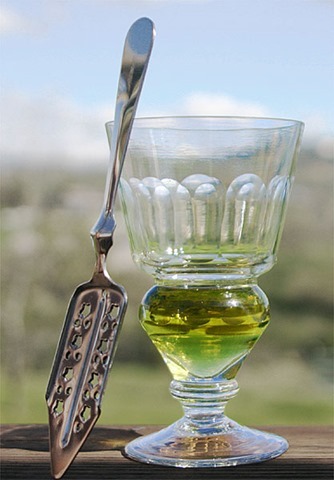 This would obviously make Absinthe nonsensical as a name. Specifically she wants the shade commonly seen with amethyst. Which is a rather brilliant shade of violet or indigo, with the optimal shade called “deep Siberian”. The shade seen with grape-flavored drinks like Powerade is probably a little darker than what she wants, but in the neighborhood. 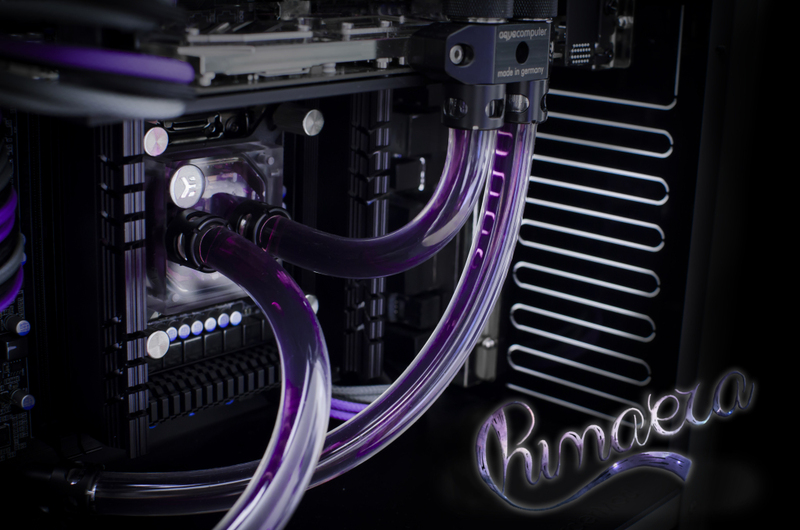 The question then is whether to take advantage of the clear tubing, clear-top CPU and GPU blocks, pump top, and reservoir by running purple coolant, flood the system with purple light, or both. My wife seems to be leaning toward flooding the system with purple light. Which would be great if I could actually find lighting for the proper shade, preferably without having to employ an RGB kit. Personally I kind of hope the RGB craze dies the violent death it sorely deserves. It’s been well and truly overdone and oversold. But getting back to the lighting, most purple lighting I’ve seen follows on the purple RGB code. Which isn’t the color she wants. She again prefers indigo, or something close thereto. Personally I don’t want to flood the system with colored light. Her mainboard is white. So my thought was flooding the system with pure white light so the mainboard stands out along with the silver in her fittings. And then using the coolant to add the Siberian amethyst color through the clear tubing, reservoir, pump top, and CPU and GPU blocks. I called this coolant color “liquid amethyst”. Only with white lighting so the purple coolant stands out. I think my wife will still want purple coolant anyway, so it’s the lighting that’ll end up being the contention. I think if I find brilliant white LED lighting and show a color contrast of it with purple coolant inside clear tubing (or faking it with grape Powerade in the bottle), I might be able to sell her on the color contrast over flooding the system with purple light. Especially since it’ll be easier to find brilliant white LED lighting than the right shade of purple. And as stated I’d rather avoid an RGB LED kit, as I don’t want to, even if momentarily, assist in perpetuating the RGB craze. Nanoxia, however, makes static color lighted fittings: red, orange, blue, green, white, and UV. 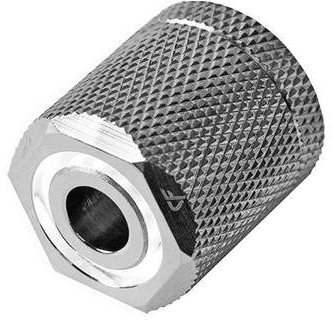 In either nickel or black finish. They work by shining light down the tubing. So I ordered a pair of the white fittings and picked up tubing from Micro Center to experiment. Haven’t tested them yet as I’ve been doing other things. Plus I want to get the white lighting I mentioned above first so I can see how well that’ll work at lighting everything up. According to Matt from DIY Perks, they’re supposed to be pretty bright. Along with this, I’m trying to figure out a way to stand the graphics card on end so the clear-top GPU block can be visible. I’ve found a couple mounting options. And the one that impressed me most would require I modify the 750D. It would also interfere with her 10GbE card, so I’d need to relocate that to one of the lower slots off the mainboard. She’s using a USB headset now, so the sound card will be removed. Another option is a GPU stand. Except on top of her PSU is the only place to put it. And it isn’t anywhere near long enough to support it. So I’d need a PSU shroud to give the support it would need. Which would complicate things pretty much instantly. So we’ll see what happens from here. The system isn’t really due for maintenance until mid-November, which still gives time to figure out the specifics and experiment with lighting. One thing is for certain: the change in color will also mean a change in fans, as the green fan blades on the Nanoxia Deep Silence fans won’t work here. So it’ll likely be back to the Bitfenix fans or I’ll find something else.